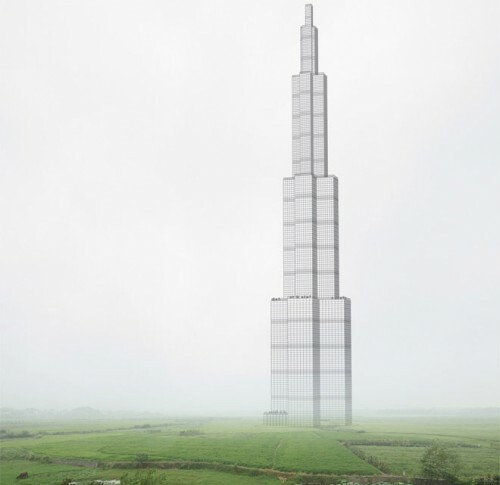 Move over Burj Khalifa, a group in China has its eye set on building the next world’s tallest skyscraper, and they plan to do it in just 90 days. Called Sky City Changsha, the tower envisioned for central China’s Hunan province could rise nearly 2,750 feet over 220 floors. That’s 32 feet higher than the current world’s tallest in Dubai. Broad Sustainable Building (BSB), an air conditioning manufacturer behind the proposal, will prefabricate building components to achieve the impossibly short deadline. BSB has already proven their speed. In 2010, the company built the 15-story Ark Hotel, also in Changsha, in a mere six days, followed by a 30-story tower built in only 15 days (see video below), both using prefab construction. In contrast, Dubai’s Burj Khalifa, built with traditional construction techniques, took six years to build. The secret is in their pre-planning. An extensive amount of construction materials—93 percent in the Ark Hotel—are prefabricated, which leaves the final act of putting them together all the easier to speed through. BSB estimates that using factory-built prefab components produces less than one percent of the usual waste associated with traditional building methods while consuming less steel and concrete. The company also claims its prefab structures are earthquake resistant up to a magnitude of a 9.0 earthquake. If completed, Sky City would be a city unto itself. Included in the building’s one million square feet is living space for 17,400 people, a 1,000 person hotel, retail, schools, office space and a hospital. 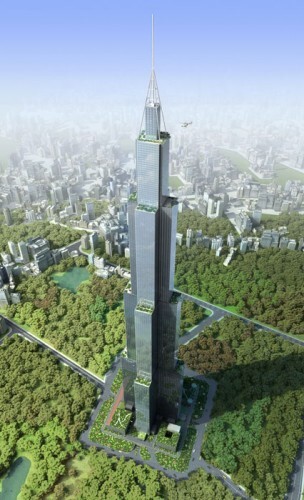 Pending approval from the Chinese government, Sky City could be completed as soon as January of 2013.